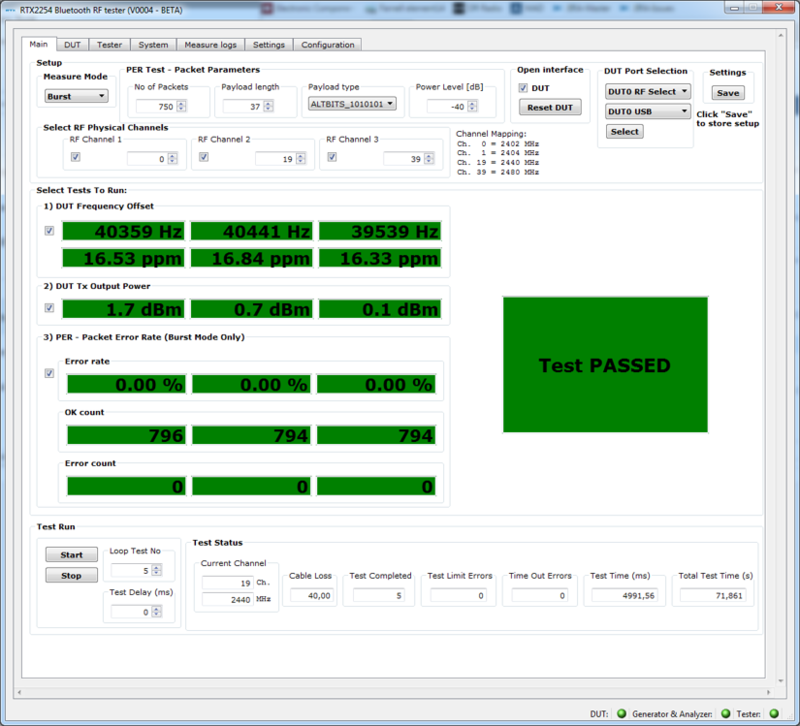 The RTX2254 RF test platform for Bluetooth Low Energy is an efficient, cost-effective RF tester for testing the typical key parameters of the receive and transmit paths in BLE products.It allows you to perform tests of BLE devices in an efficient and cost-effective way on both PCBA and final assembly level. 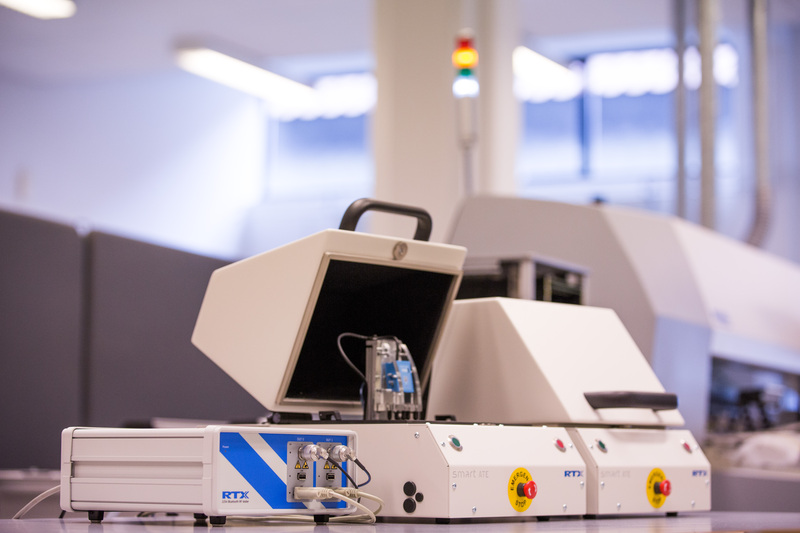 Test cases cover the typical key parameters, and provides a very efficient way of monitoring quality and performance throughout the manufacturing process. 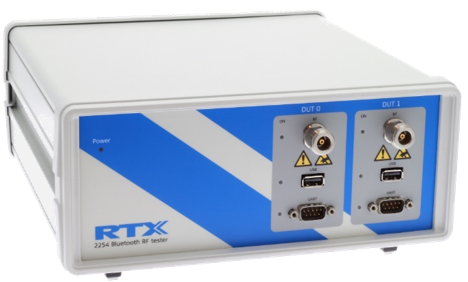 The RTX2254 has an integrated HCI interface with support for RTX’s driver as well as drivers for the various Bluetooth chip manufacturers. This funcionality enables users to support both standard HCI and vendor-specific commands.